Get your appetite ready, and join our local Atlanta guide for this 3.5-hour leisurely stroll around the picturesque, tree-lined streets of Inman Park, all while supporting the locally owned restaurants. Inman Park has been voted Atlanta’s best foodie neighborhood and is on the national registry of historic places since 1973. This flourishing area is also home to the famous Krog Street Market, which is a mixed-use development in Atlanta, located along the beltLine east side trail, also known as Atlanta’s largest outdoor art gallery. As we walk our way through Atlanta's favorite in-town neighborhood, stopping at Six locally owned restaurants for generous food tastings along the way. Enjoy tastes from favorites, old and new, including the One Eared Stag, the Albert, Gu's Dumplings, and more! 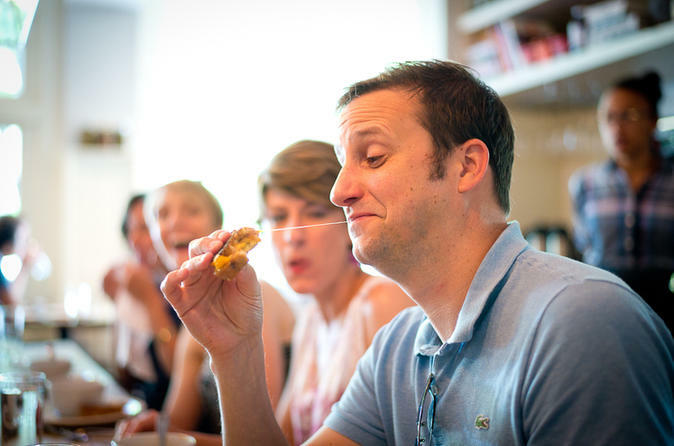 Take your taste buds on the tour of their life and join us for an amazing experience. This tour does include One cocktail tasting.